Zakat and fasting are two integral parts of a muslim’s life, they are 2 of the 5 pillars of Islam and obligatory on every muslim that meets the criteria. Such important facets of our lives yet we are heedless to the rulings pertaining to them. How many years have gone by and we have fallen short in fulfilling these obligations? How many years have gone by with regret that we did not give them their due? Don’t let another year go by, take action and be prepared. Understand the rulings pertaining to zakat and how you can fulfill this obligation in the best of ways. Taught by Mufti Sarfraz Mohammed, who has a wealth of experience dealing with matters pertaining to zakat, you can be sure to gain an great insight into the subject matter. With Ramadhan at our doorstep, it is incumbent upon every muslim to ensure they are prepared to maximise the benefit gained in this month. This is an ideal opportunity for you to prepare for the coming of the blessed month. 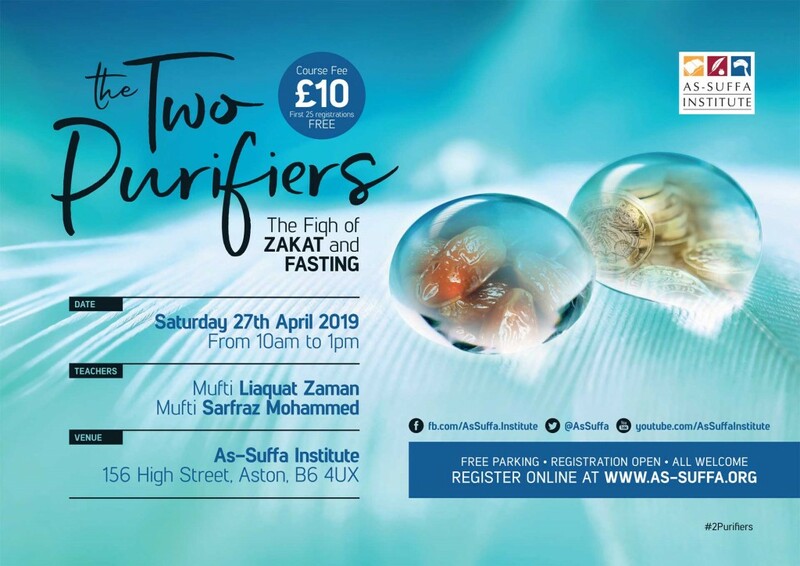 Mufti Liaquat Zaman will be covering the fiqh of fasting, providing a detailed explanation of the rulings and addressing common contemporary issues.